Due to the nature of works carried out by Tullyraine Quarries Ltd from quarrying to civil engineering projects, health and safety are of the utmost importance to the company. 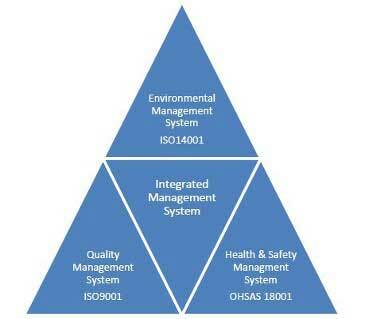 In order to maintain high standards, our safety management system has been accredited to OHSAS 18001. We are committed to effective health and safety management and the adoption of best health, safety and welfare practice and we are continually seeking ways of improving our health, safety and welfare performance. At Tullyraine Quarries Ltd we are aware that all our operations can impact on the environment, therefore take great care to ensure that we manage our environmental impacts through the implementation of our ISO 14001 Environmental Management System which is independently accredited by SGS Ltd. Our environmental commitments are stated in our environmental policy. If you would like to read our health and safety objectives, please feel free to read our Health and Safety Statement of Policy. The company strives for continuous improvement in customer care as we are aware the importance of customers to our business. Tullyraine Quarries Ltd ensure our customer’s requirements are exceeded through ensuring high levels of quality in products, availability and supply of products, application and maintenance of products. National Highway Sector Schemes 12D, 13, 14 and 16. National Highway Sector Schemes (NHSS) are based on ISO 9001 with additional requirements for highways activities. Developed in conjunction with all parts of the highways industry and UKAS. 16 – Laying of Asphalt mixes. We are committed to delivering the highest quality products by operating high standards throughout our business, understanding our customers’ needs and using best practice quality management systems. Tullyraine Quarries Ltd have a long established reputation for high quality products and we place special emphasis on maintaining quality assurance. We operate an ISO 9001 quality management system which is Third Party Accredited and audited by SGS UK. We are able to CE mark all aggregates, bitmacs, asphalts, SMA and Tullymac processed at our quarry. We were awarded our CE mark on 23rd November 2010 for our aggregates, bitmac and Asphalts by successfully obtaining a certificate of Factory Production Control (FPC) from our notified body BSi. In 2011 we then extended our scope to include our SMA products. Tullyraine Quarries Ltd are currently a Q-Level 1 and carry out both internal and external testing by a number of UKAS accredited Labs.